IMCDb.org: 2004 Kenworth T-650 in "Cactus, 2008"
It is wearing Australia spec headlights. The Road Trains can take up to 200 tonnes (220 short tons). The majority are between 80 and 120 t (88 and 130 short tons). 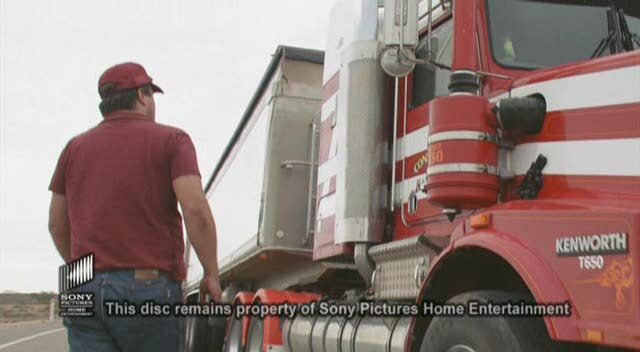 Two-trailer road trains, or "doubles," are allowed in most parts of Australia, with the exception of some urban areas. 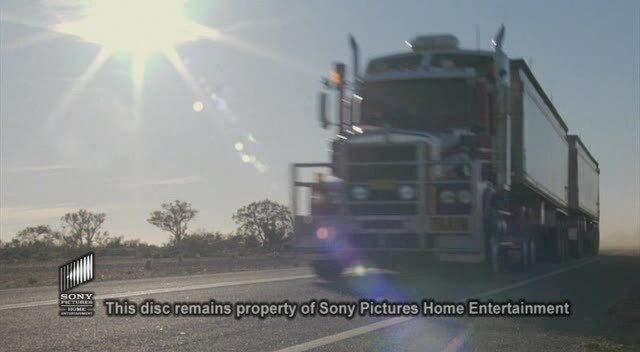 Three trailer road trains (triples) operate in western New South Wales, western Queensland, South Australia, Western Australia and the Northern Territory, with the last three states also allowing AB-Quads (3.5 trailers). Darwin is the only capital city in the world that will allow triples and quads to within 1 km (0.62 mi) of the central business district (CBD). 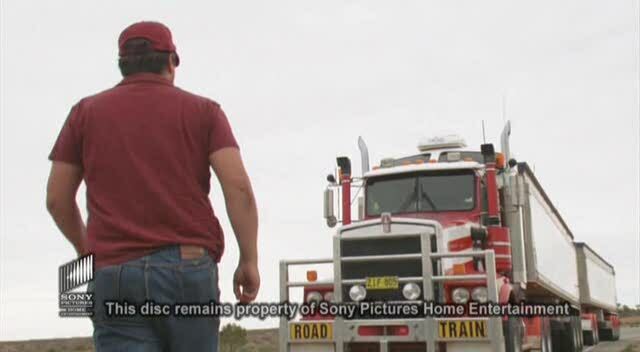 Road trains can be unwieldy, and driving and maneuvering them safely without unduly obstructing traffic is only possible because of the sparse traffic and extremely flat and straight terrain through the Australian outback. Strict regulations also apply regarding licensing and driving experience. 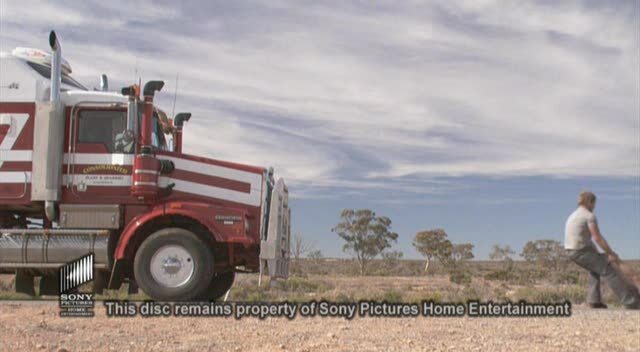 The multiple dog-trailers (defined below) are unhooked, the dollys removed and then connected individually to multiple trucks at "assembly" yards when the road train gets close to populated areas. Road trains are used for transporting all manner of materials, with livestock, fuel, mineral ores and general freight the most common. 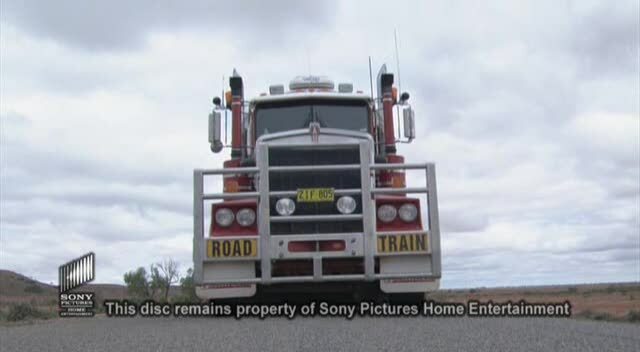 Their cost-effective transport has played a significant part in the economic development of remote areas, with some communities totally reliant on a regular service.Overtaking a road train can be quite difficult. Patience, assistance from the driver, and large amounts of clear road are required. Many road train drivers help by blinking their right-turn indicators a couple of times to indicate that the road ahead is clear. Are Road Trains limited to a certain speed? 90km/h is the max speed limit for a road train in NSW - not too sure for the rest of the country! rjluna2 wrote It is wearing Australia spec headlights. I'd say Made for Australia. Seems that nobody care, that Kenworth Australia have own production and own model lineup. Plate returns: 2004. This is a T-650.